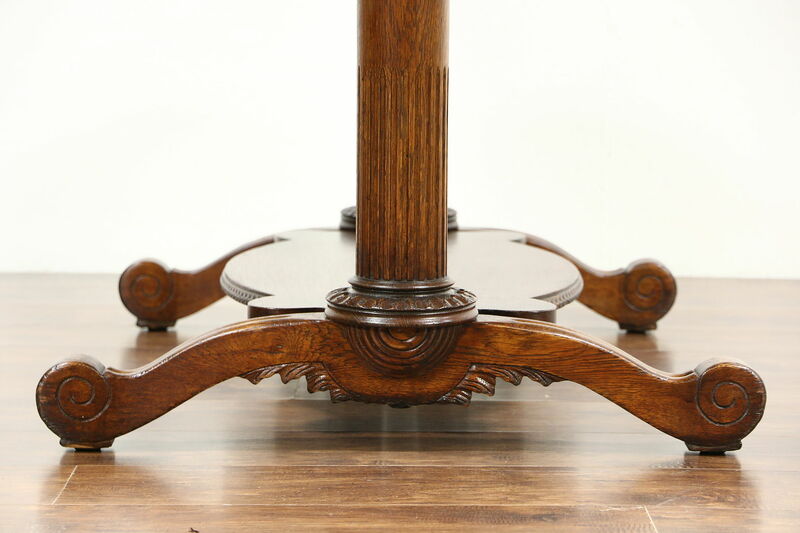 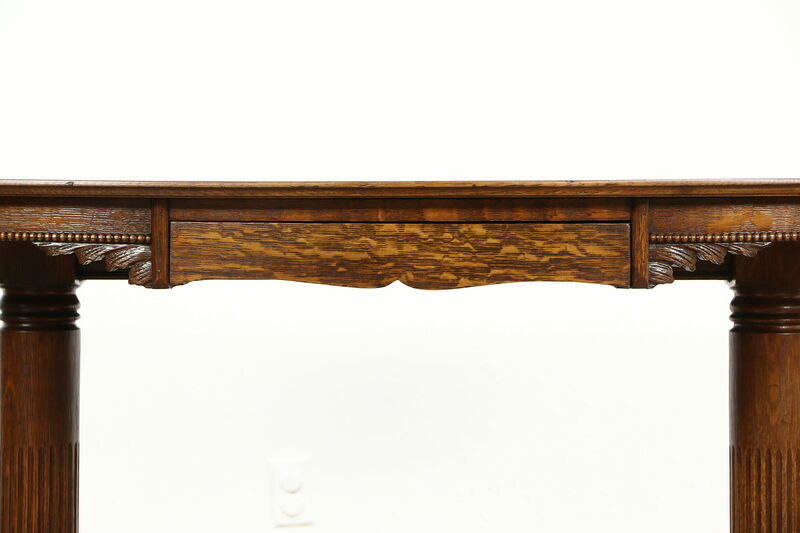 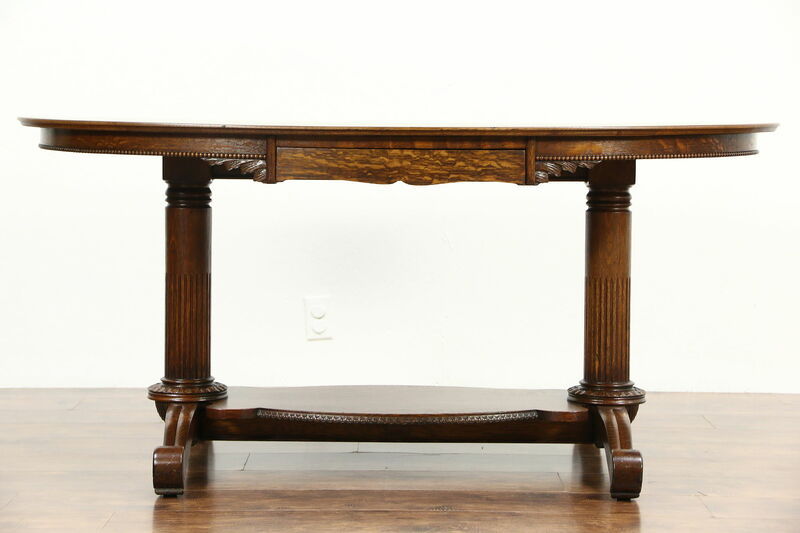 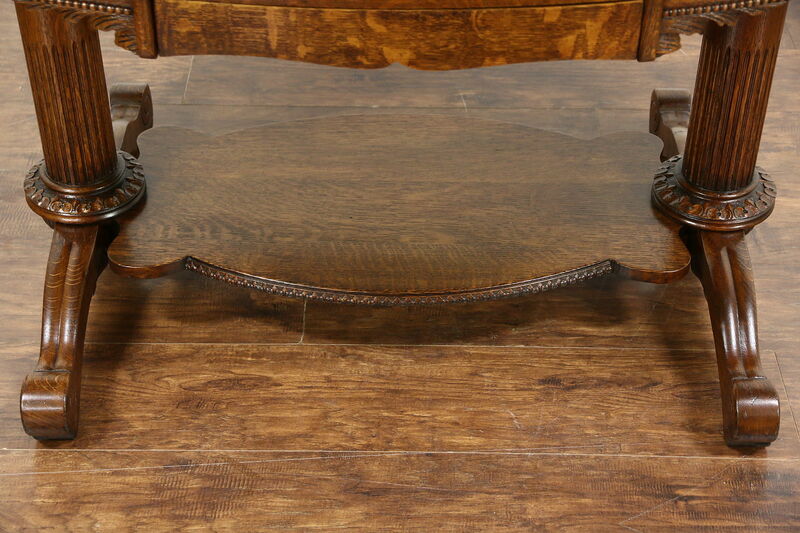 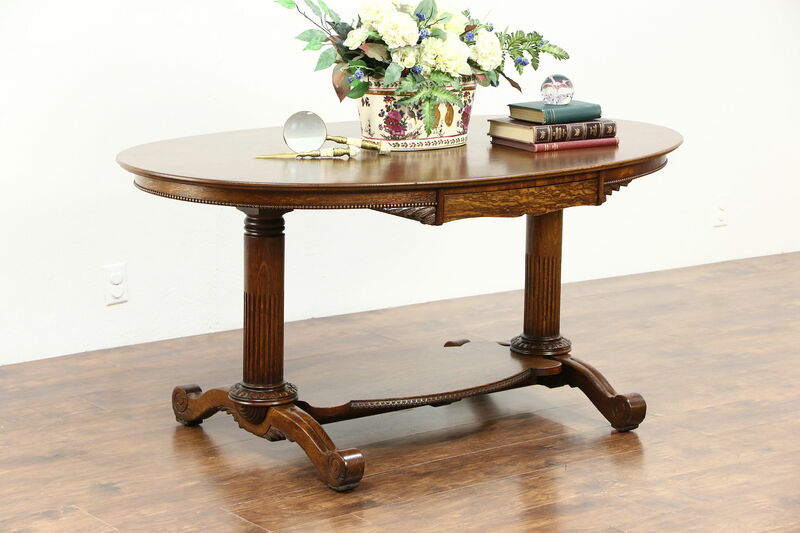 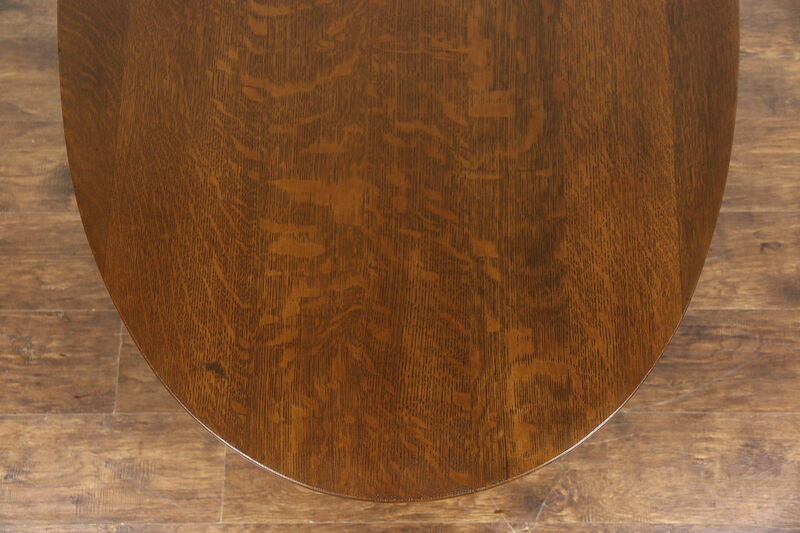 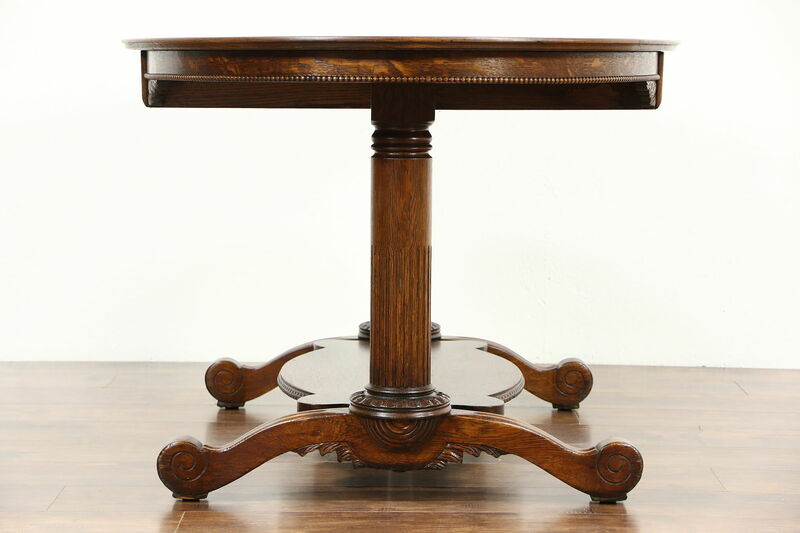 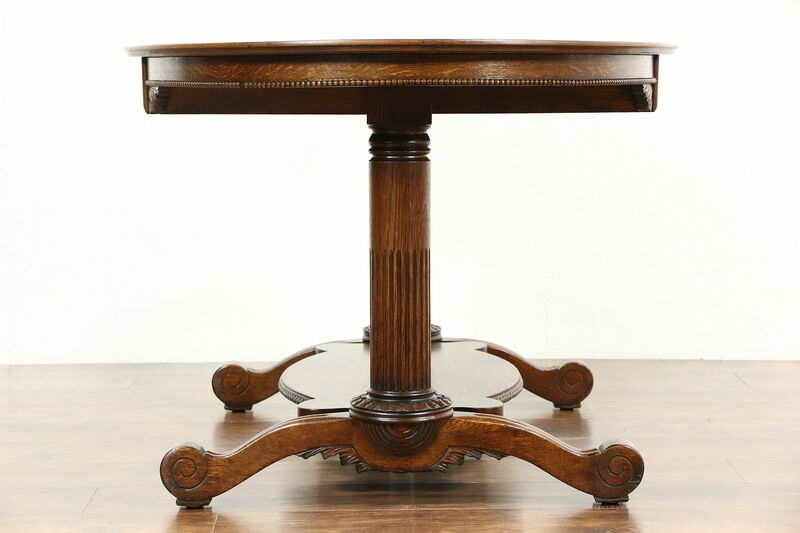 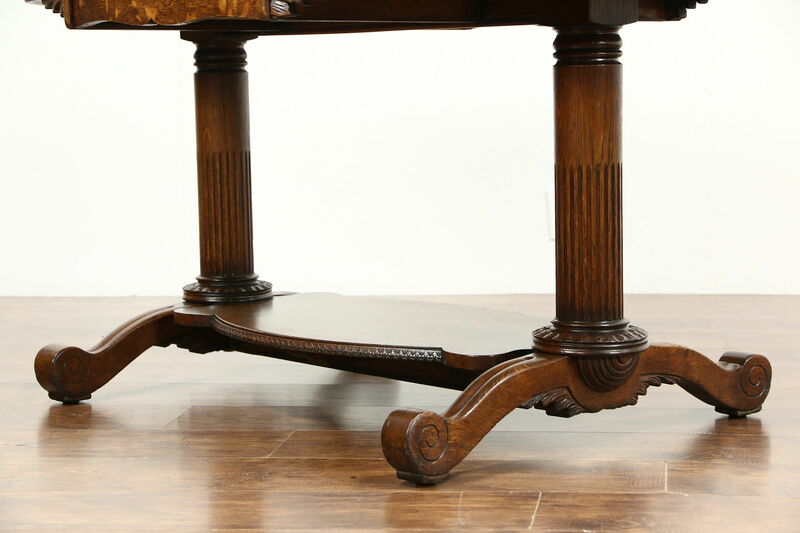 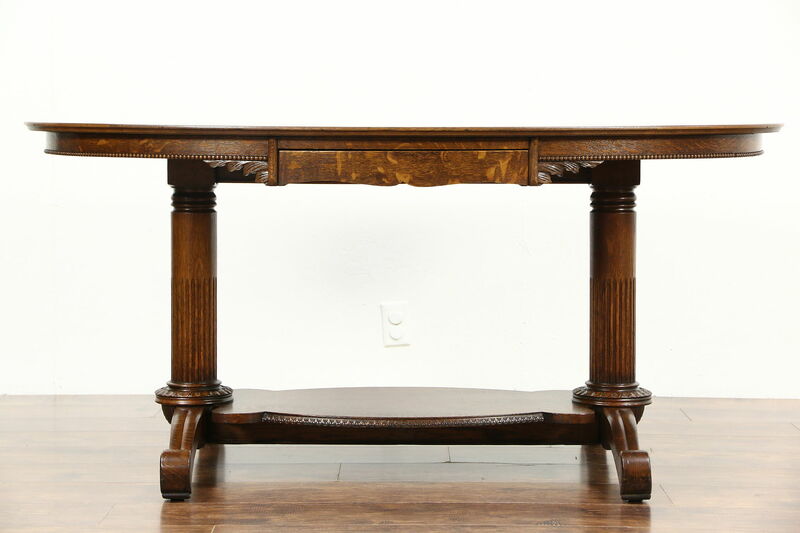 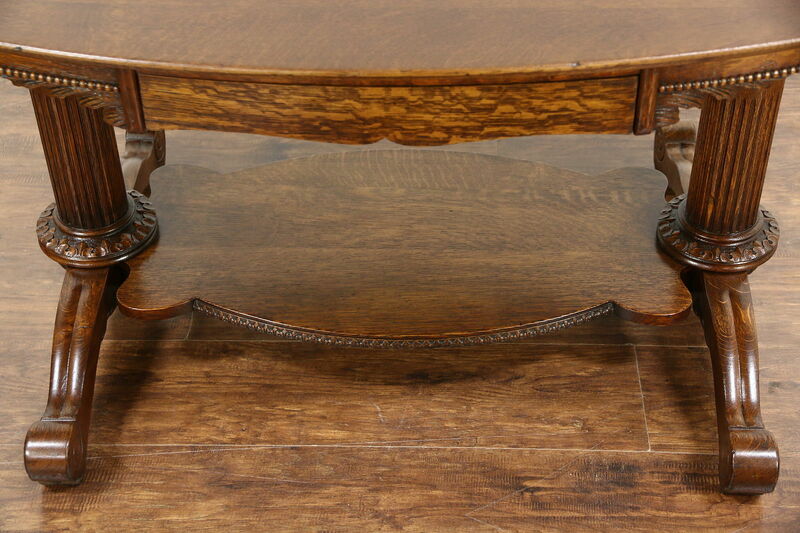 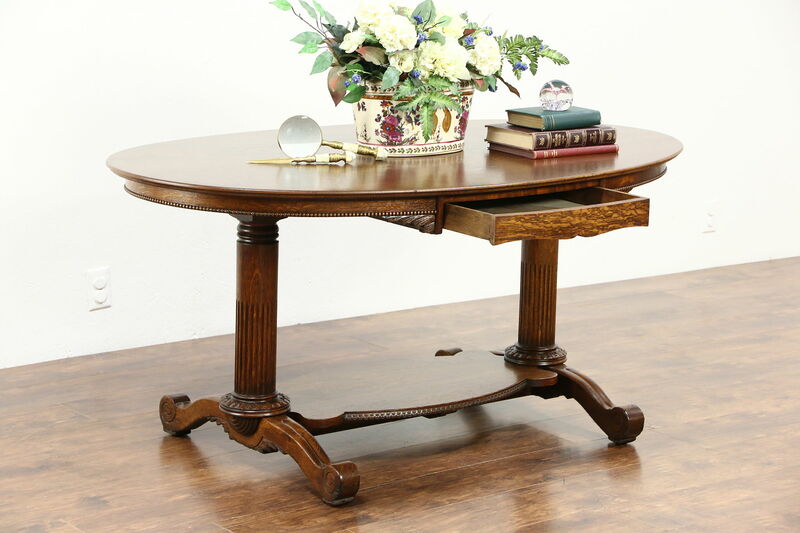 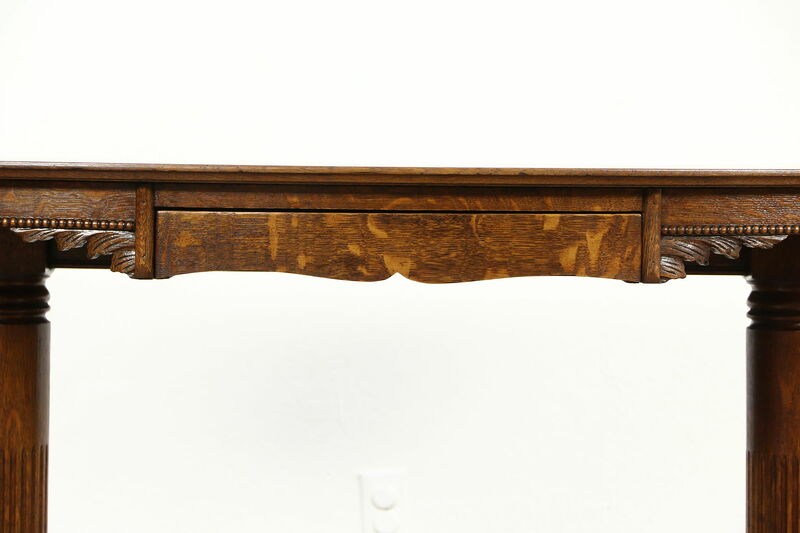 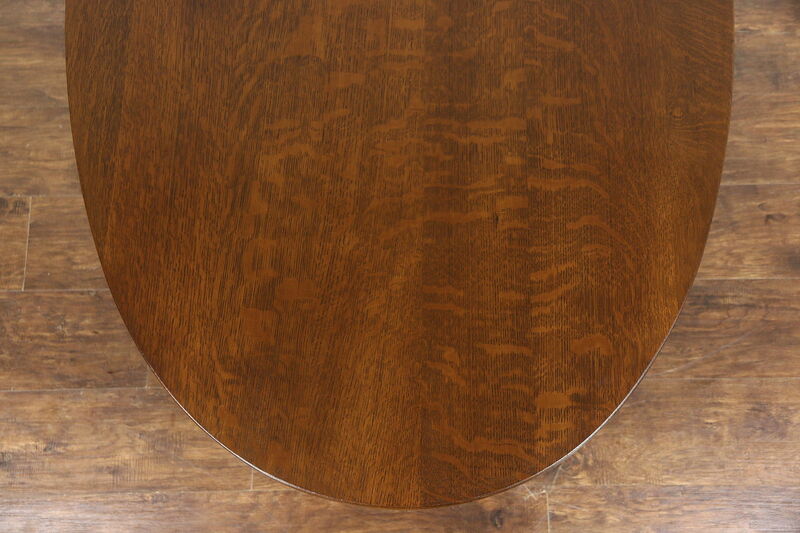 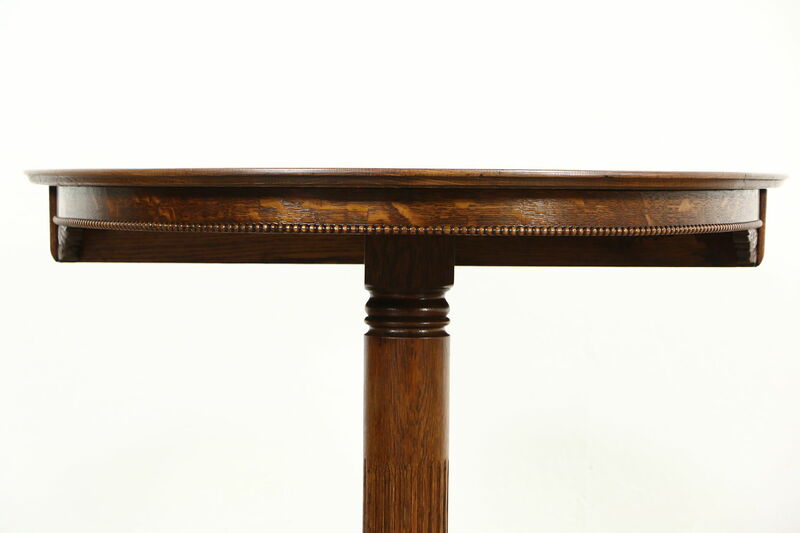 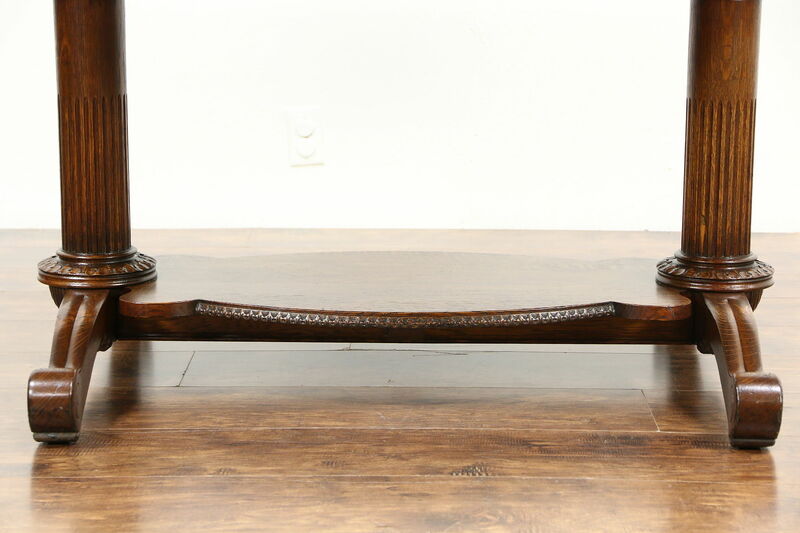 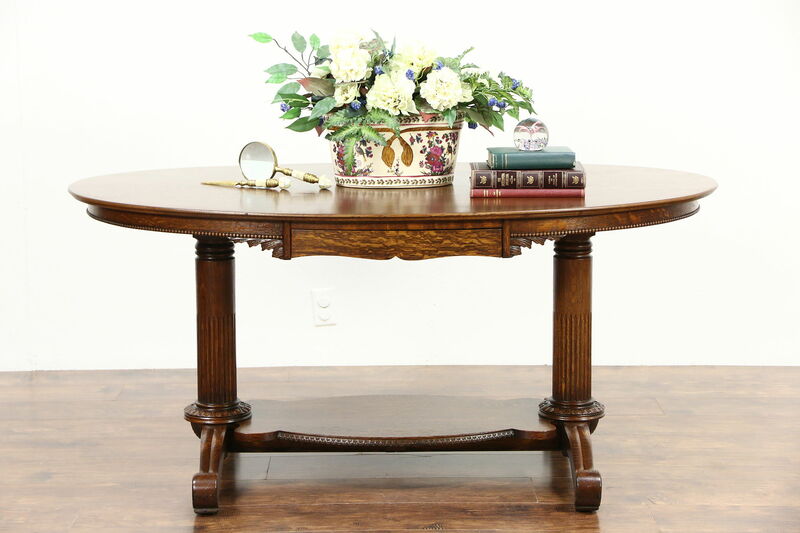 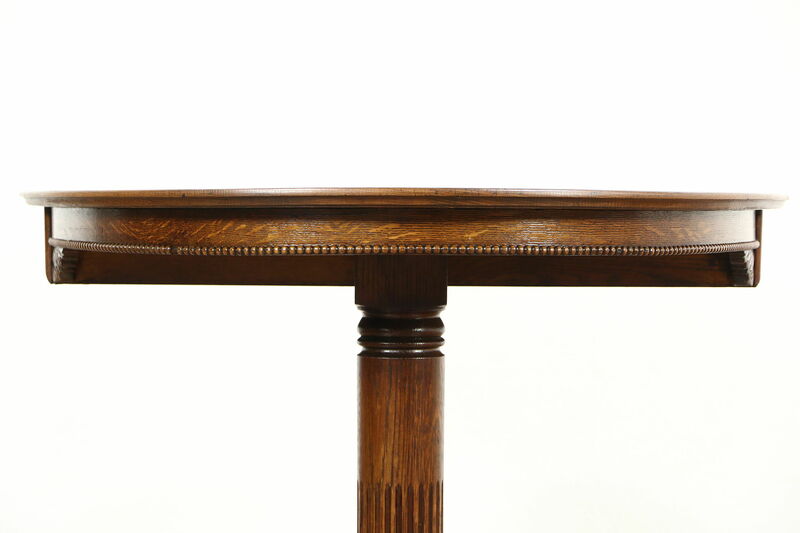 An oval "partner's" library or hall table is solid quarter sawn oak and dates from about 1900. 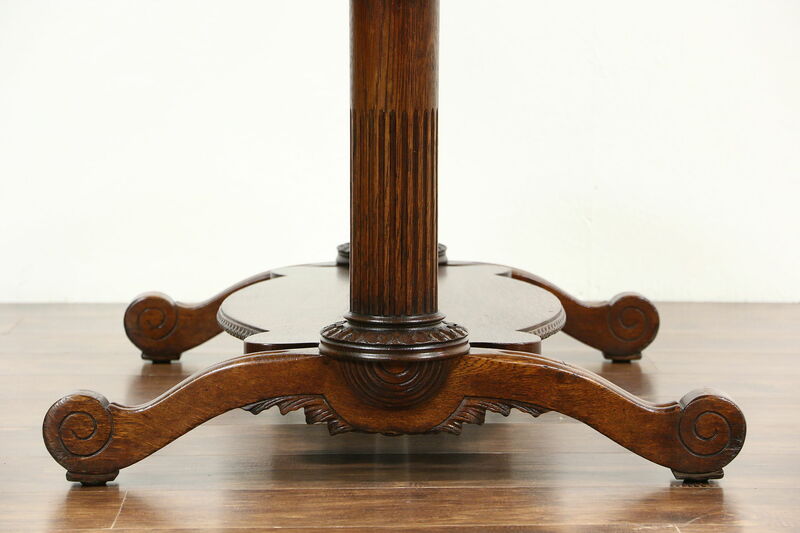 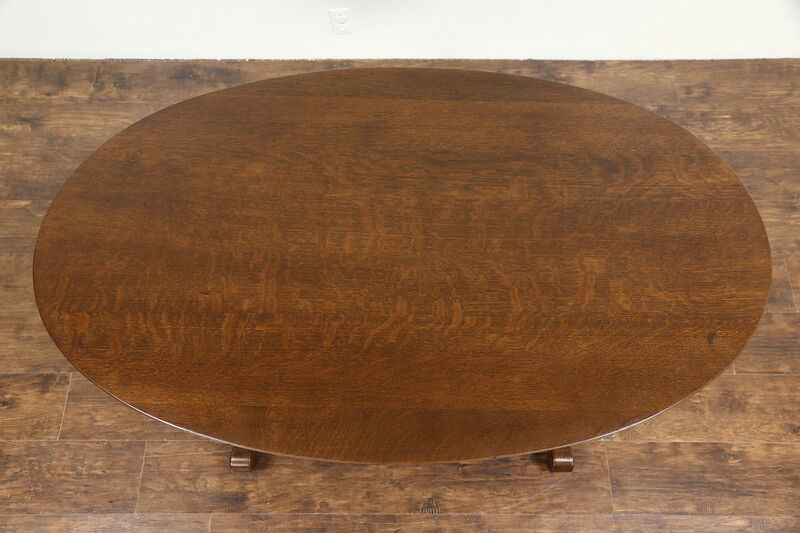 The restored deep finish is in excellent condition on this American made antique. 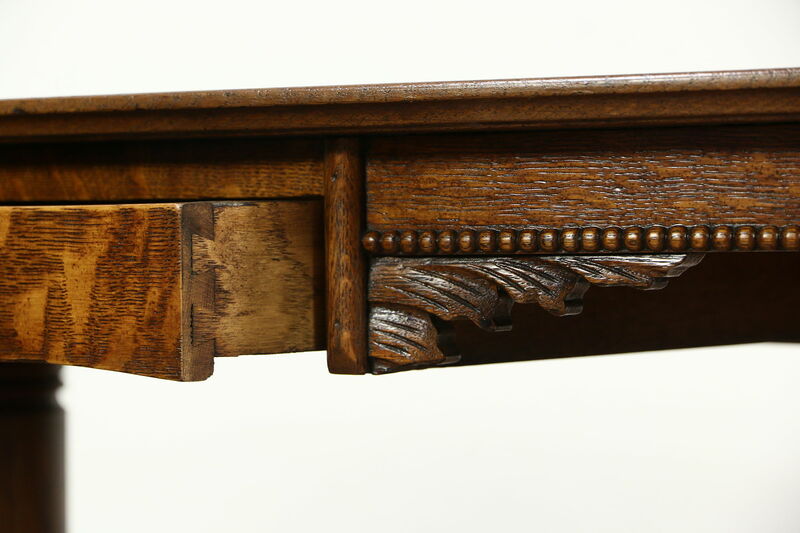 There are opposite curved front drawers with dovetailed joints for each "partner." 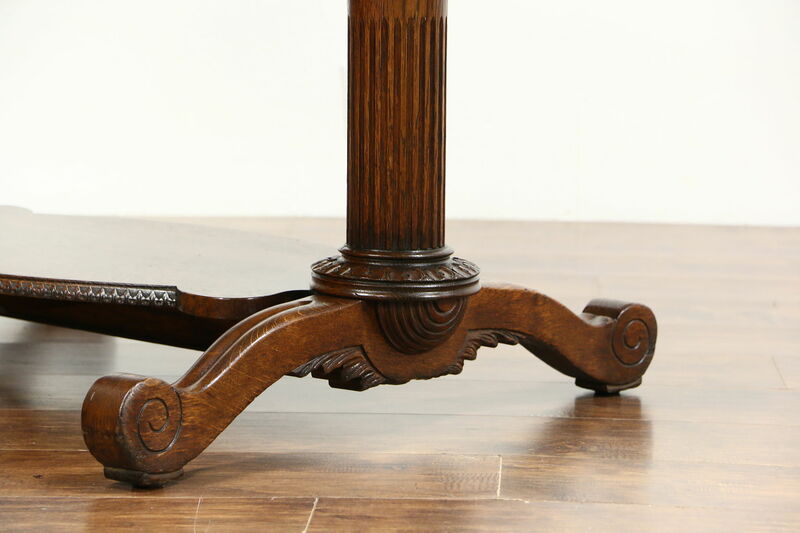 Classical fluted columns and detailing are authentic. 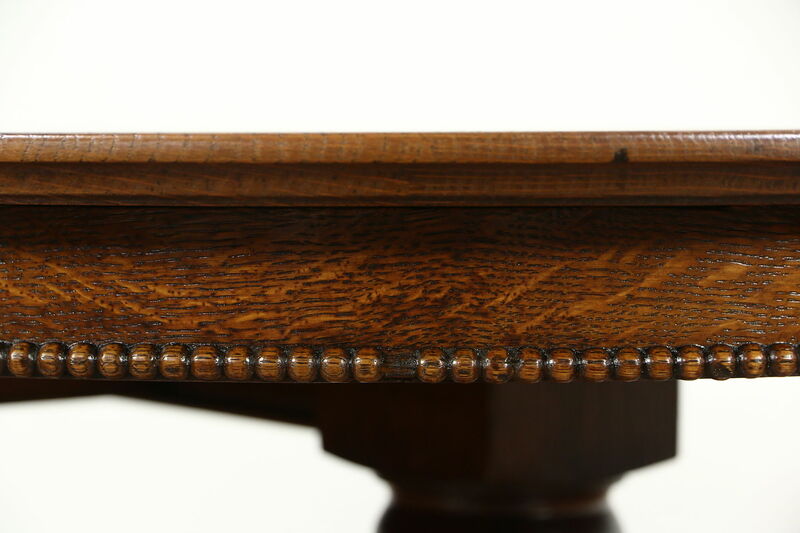 There is one bead missing on the skirt, see photos. 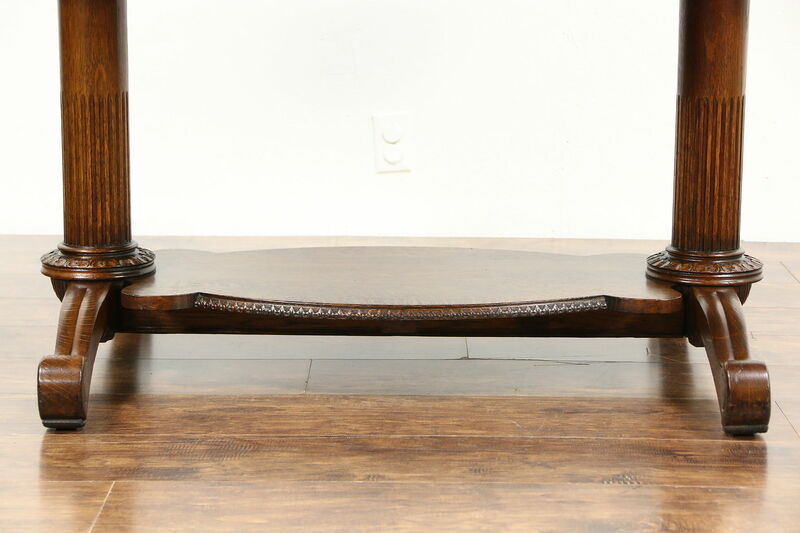 Measurements are 5' long, 36" wide, 28" tall and legroom is about 23 1/2".